New Imperial Suites is the right choice for visitors who are looking for A affordable night’s stay with a spacious Room in the Whitecourt Area. 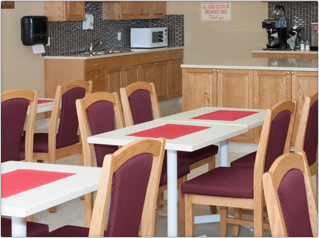 With 24 hour front desk service, heated pool and convenient attached Best Way laundry Services on location. New Imperial has best in Class Wifi and a complimentary Breakfast to get your Day started in the morning. 4 floors of Guest rooms with full kitchens provide You flexibility if you wish to prepare meals in your suite. Feel at home with a fireplace in every room. Come stay with us at the New Imperial Whitecourt we would be happy to have you.